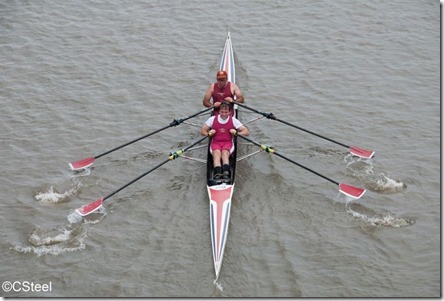 The Pairs Head of the River took the Supported Adaptive 2x event to new lengths. 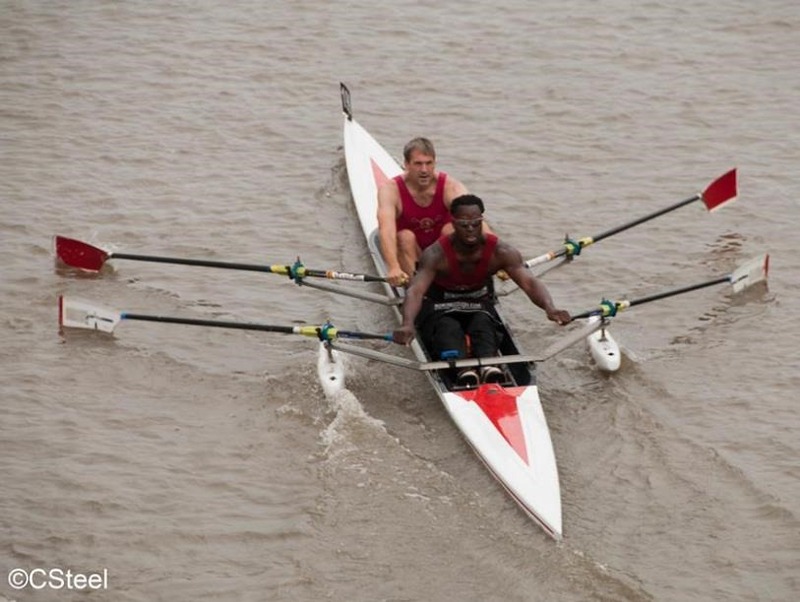 The Supportive Adaptive event has grown in popularity as it extends crew racing into adaptive rowing, makes for faster racing, enables more adaptive athletes to compete more easily, and extends the community of adaptive rowing to non-adaptive rowers. 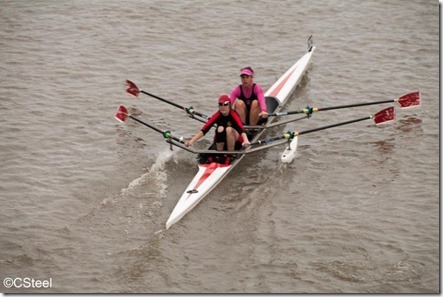 Following from last week’s milestone Bedford event of 2km, the Pairs Head took the racing to the full 4.2 km Head race distance. And that’s not counting the warm-up (intentional or unintentional, the less said about this part, the better for me). 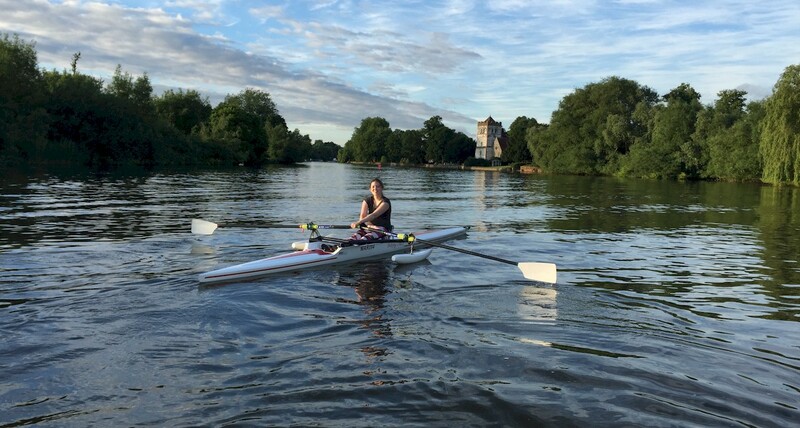 The event was yet another addition of adaptive rowing to a longstanding event (thanks Guildford RC for taking the initiative to request the inclusion). The organisers set it up as a “Time Only” category since this was their first run and they wanted to see how everything worked. But all the feedback from the participants and organisers alike was that it was a superlative day. Access to the Tideway can be tricky with tidal fluctuations making for some steep and muddy access. But all the athletes seemed to manage just fine. One of the biggest disparities between expectation and reality is the difference between what the club and race organisers think is needed for disabled access and what the adaptive athletes are willing and able to cope with. Of course, we would all like readily accessible ramps, etc., but the adaptive athletes are pretty resilient and quite used to managing with all sorts of conditions. Especially, in rowing they realise that the riverbanks are not ideal for many people to access not just disabled. 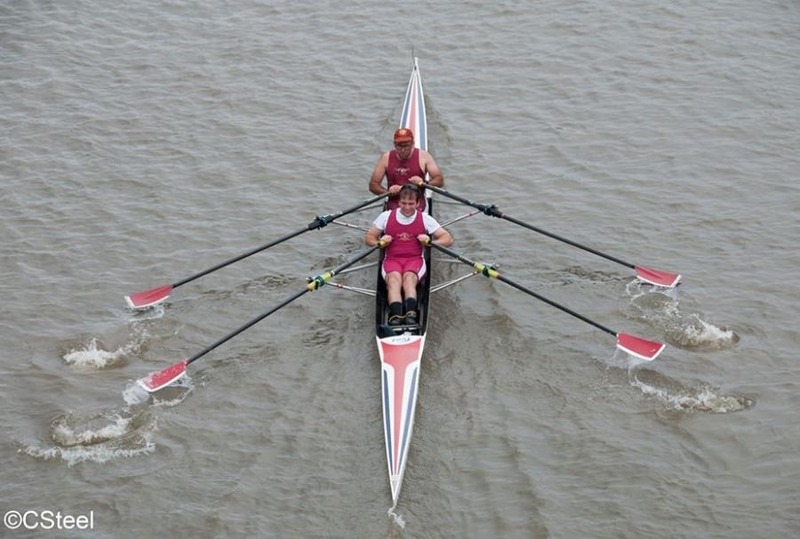 When there is any issues with access, simply a bit of assistance and consideration is usually all that’s required for the adaptive athlete to boat safely and happily. Just to clarify the post above – the extra ‘warm up’ was all because Bruce took us the wrong way to find our starting marshalling points. Never follow Bruce unless you are eager for an extra 2km the wrong way and 2km back again. As you might notice, that was the distance of the actual course before we had even started the race!